A great way to make sure people stand around you at the grill. 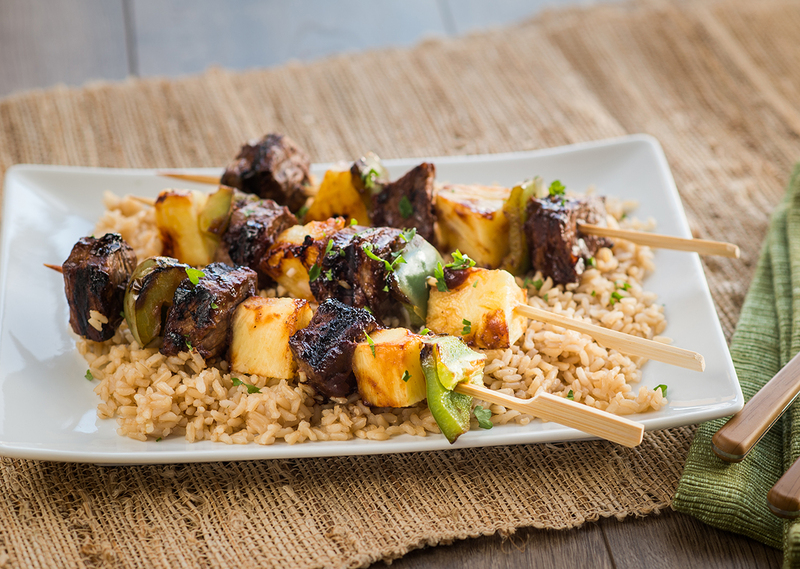 The aroma from these kabobs will make everyone drool! Mix ketchup and Hoisin sauce in bowl. Add beef and toss until coated. Preheat grill on setting #4 (medium high heat). 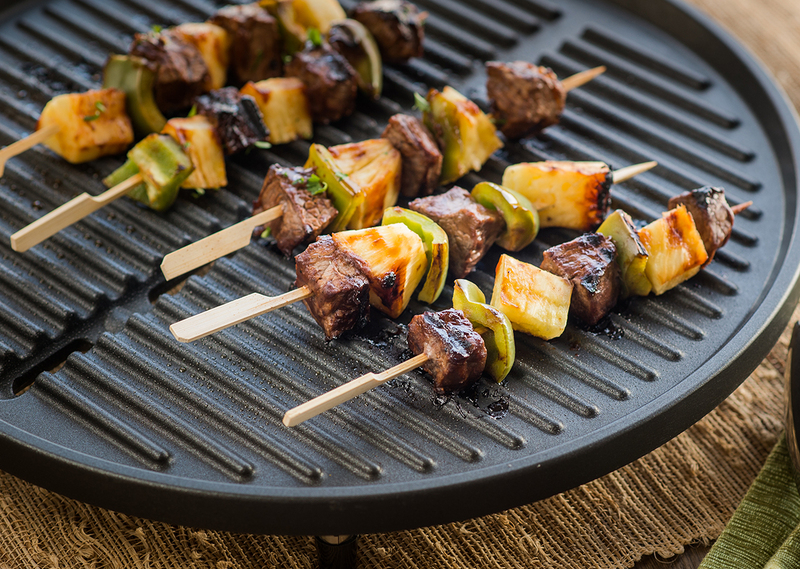 Arrange steak, pineapple and green pepper alternately on 6 (10-inch) wooden skewers. Grill kabobs 10-15 minutes for medium doneness (160°F), turning once and brushing with extra sauce.